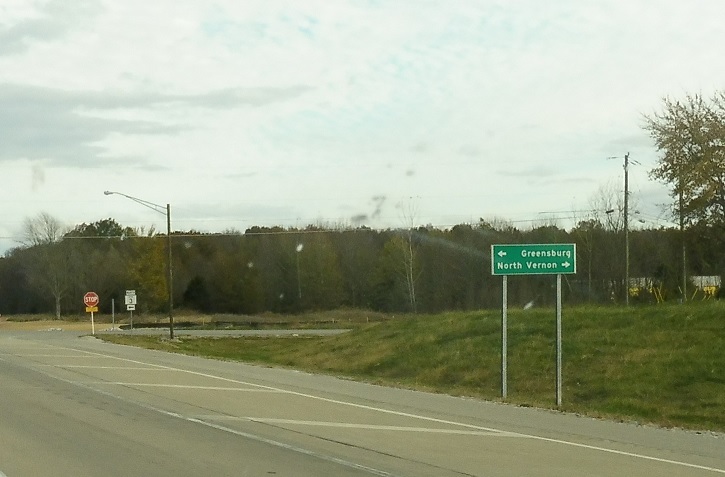 Reassurance shield omitting SR 3 as it joins 750. Less than a mile later, we’ll approach SR 3. 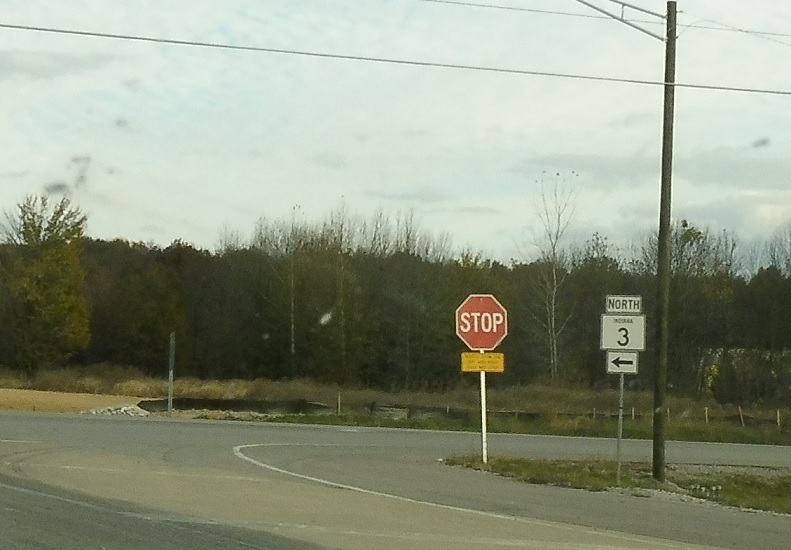 Follow 3 north to Greensburg and old 3 south back into North Vernon. Turn left for 3 north. 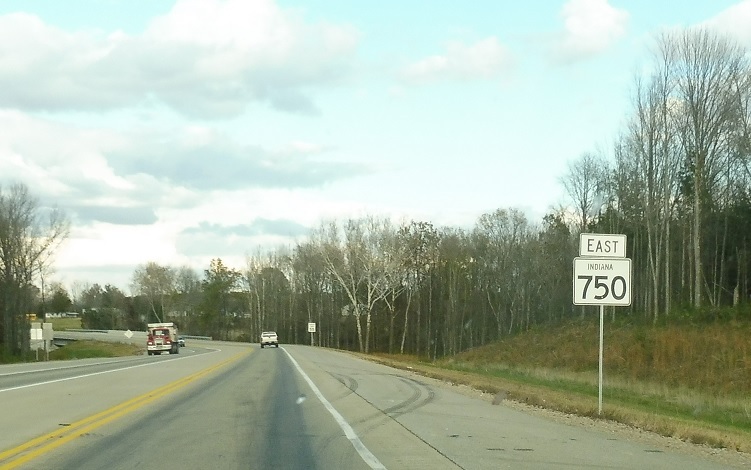 SR 750 ends here for now – it will eventually extend back to US-50 on the east side of North Vernon, at which point SR 750 will cease to exist and US-50 will be re-routed along it.